Mankind has always recognized certain landscapes and architecture as special, sacred, spiritual or divine. On every inhabited continent, humans have built structures that honor the land around them, the sky above or allow them to climb higher to try to touch the hand of God. But, for many, these monuments were not places of worship or meditation but simply a place of death. The Temple of Kukulkan in Chichen Itza (see post: Temples to Watch the Sun) is a magnificent construct that reaches towards the heavens, a tribute to the Mayan gods but an altar of execution for the human sacrifices that took place at the top of the temple. Burial within Egyptian pyramids in the earlier dynasties often involved not just the Pharoah but also consorts and servants. 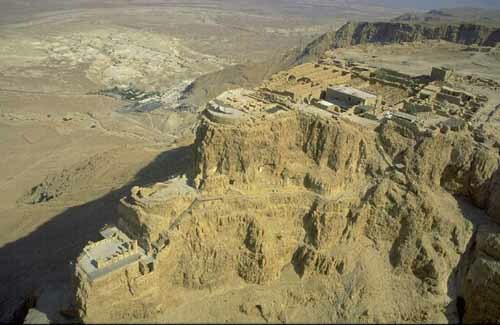 In the Middle East, the hilltop fortress of Masada was witness to the suicide and killing of hundreds of Zealot Jews, resisters to Roman occupation. In 415, a rabid Christian mob murdered Hypatia, the famous scientist-mathematician of Alexandria, by skinning her alive in the Christianized Caesareum. Dispersed in the fields around Stonehenge (see post: Temples to Watch the Sun), buried human remains have been found - ritual burials or sacrificial executions? During one of the first crusades, with rabble gangs of eager Christian soldiers on their way to liberate the Holy Land, the cathedral in the German city of Trier (once home to a large Jewish population), was the site of temporary protection for the Jewish citizenry by the bishop but the wretched fugitives were soon given over to the marauding Christian Crusaders. The Hindu temple at Somnath was destroyed by Muslim (Arab) invaders in 725, 1024 and in 1296 when 'fifty thousand infidels were dispatched to hell by the sword'. Rebuilt once again, it was destroyed again in 1375, 1451 and 1701. 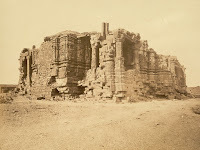 More recently, the Hindu Nationalist Bharatiya Janata Party perpetrated the destruction of the Babri Mosque in Ayodha in 1992. This resulted in fundamentalists on both Hindu and Muslim sides carrying out murders across India. Throughout the Indian subcontinent, there has been a history of conflict between religious groups including Muslim-Christian, Muslim-Sikh, Muslim-Buddhist and Hindu-Sikh (Amritsar-1984, killing nearly 300 people). Zoroastrianism, the major religion of Iran for centuries has been marginalised since the Muslim takeover in the 7th century with many killed and most driven out of the country. In modern times, sectarian violence has seized Iraq and many other countries in that region resulting in murder by followers of opposing Sunni and Shi'ite sects of Islam. *Religious holy sites: subjects of research for the novel The Tao of the Thirteenth God - Amazon Kindle.